Gareth Southgate is not fretting about Marcus Rashford's recent lack of game time at Manchester United because he believes Jose Mourinho "thinks the world" of the striker. 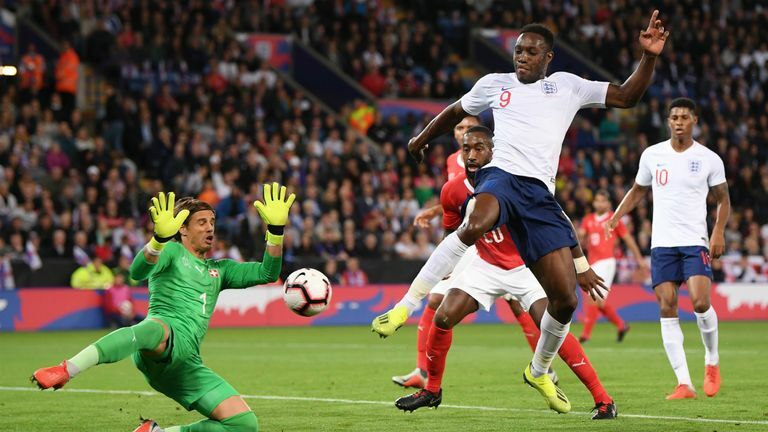 In contrast, the 20-year-old found himself cast in the starring role for Southgate's England over the past week, scoring both of the team's goals against Spain and Switzerland and looking every inch an international-class forward. "We really wanted to make Marcus feel important over this period," said Southgate. "It was important especially to get him in the penalty box and remembering the areas he needs to be scoring goals from. "His confidence will be boosted I'm sure, with two goals against top-quality opposition." Back at Old Trafford, the 20-year-old will once again be vying for selection with Romelu Lukaku, Alexis Sanchez and Anthony Martial but Southgate takes a pragmatic view of his situation. "It's not my business to interfere with club managers," Southgate said. "They have a difficult job to do and they have big squads at the top six, with huge competition for places. "Jose thinks the world of Marcus. He's a huge admirer of him, but he has got his job to do. There is huge competition for places at his club so you can understand that. "I understand the difficulties that club managers have. They have to try and win matches. They have to rotate their squads."